If missing teeth have left an embarrassing gap in your smile, you may be a good candidate for a custom-fit dental bridge. At The Diablo Dental Group in Danville, California, dental bridges are just one solution to replace missing teeth. The team uses the latest technology to design a bridge so you can smile with confidence again. Learn more about comprehensive dental bridge services by calling the office today or use the convenient online booking system. A dental bridge is a custom-made prosthetic that contains one or more false teeth to replace natural teeth lost to decay, injury, or disease. The dental bridge fits between healthy teeth, filling in the gaps. The team uses a dental-safe cement to attach the bridge to the surrounding natural teeth. If these anchoring teeth are discolored or misshaped, The Diablo Dental Group can apply a crown to instantly improve their appearance before attaching the bridge. After careful evaluation of your oral health, The Diablo Dental Group team determines if a dental bridge is the right option for replacing missing teeth based on your needs. If you’re missing multiple teeth, the staff may recommend other restoration options, such as dental implants. How is a bridge created? 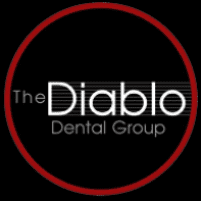 The Diablo Dental Group uses the most advanced technology to design custom bridges and natural-looking prosthetic teeth. Each artificial tooth looks just like your natural teeth, created to match their color, size, and shape. The expert dental team uses three-dimension measurements of your jaw to construct a perfect fitting bridge using safe and durable materials. How do I maintain a dental bridge? You need to care for your bridge just like your natural teeth by brushing and flossing every day. Before you leave from your bridge placement appointment, the dental team will show you how to properly care for your bridge to ensure it stays in optimal condition. Make sure to schedule dental checkups every six months, so The Diablo Dental Group team can evaluate your bridge and overall oral health. They will also perform a professional cleaning to remove plaque and tartar buildup. The Diablo Dental Group team is skilled in custom dental bridge solutions for missing teeth. To enhance your smile and oral health, call the office today or schedule a consultation online.